Only 1 left in stock - order soon. Sold by Deal Dave and Fulfilled by Amazon. 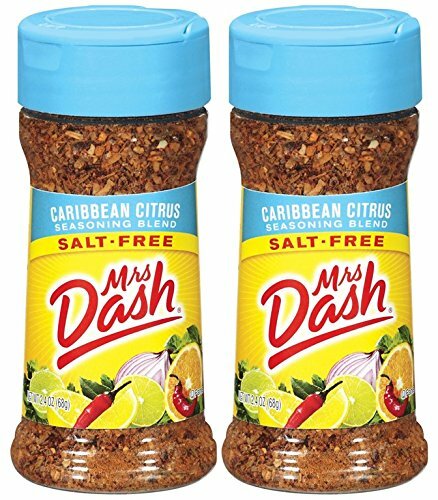 Amazon's Choice for "mrs dash fiesta lime"
Sold by Deal Dave and ships from Amazon Fulfillment. Sold by Pro Tradings and ships from Amazon Fulfillment. Sold by DEALS FOR ALL and ships from Amazon Fulfillment. 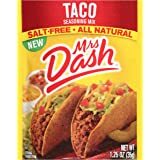 Get ready for huge flavor with Mrs. 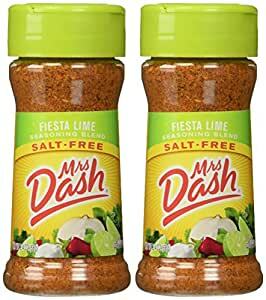 Dash Fiesta Lime Seasoning Blend. 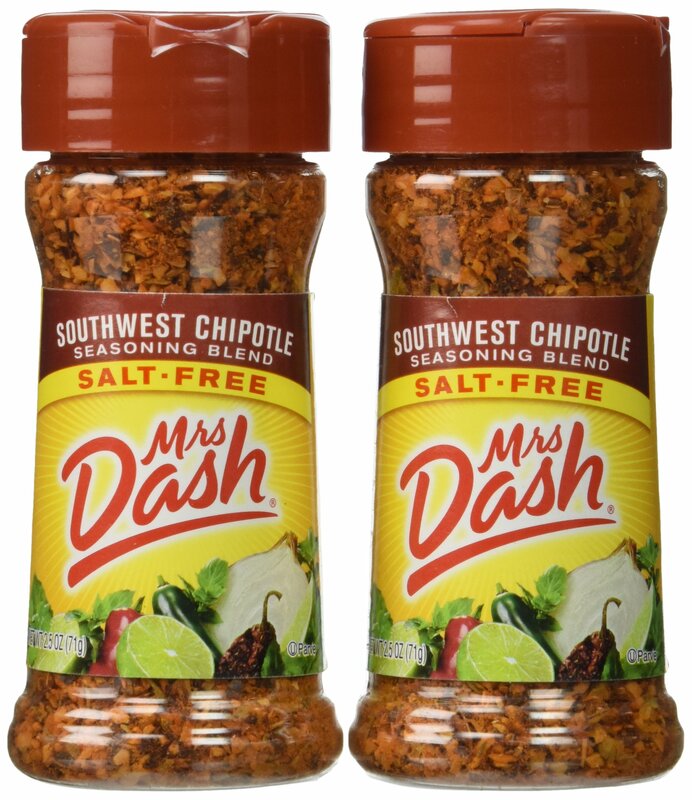 A bold blend of spices with a twist of lime and southwestern seasoning will make your taste buds spring to life with each bite. 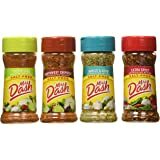 Add a burst of flavor to Chicken, Ground Meat, Fish and Rice Dishes. Flavor Corn on the Cob, Tomatoes and even Fruit. All the flavor without the salt. Your foods will thank you! Salt-Free, Fat-Free, Zero Calories, Kosher Certified Parve, All Natural, No MSG. 5.0 out of 5 starsMy Go To for Chili, soups and dips! I absolutely LOVE this stuff. Mrs. 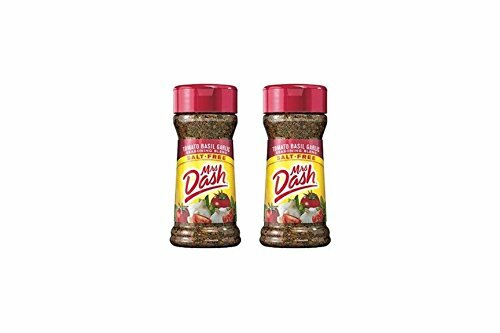 Dash has been my goto seasoning blend company for 5 or so years now and I can't say enough good things about their products. Many years back, I stopped drinking and started getting healthy. One of the things my Doctor told me was that I had to reduce my salt intake to get my blood pressure back in check. If you look at the ingredients of most seasoning blends, it's almost always full of salt. Yuck. And then I was told to check out Mrs. 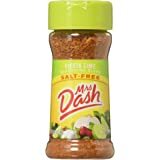 Dash, who I had been using without realizing was salt free already. So I started checking out their other blends, and I found the Fiesta Lime blend and was in love. 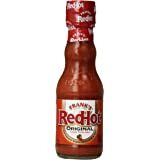 I put it into almost any kind of soup I make, onto burgers, sandwiches and more. I made salad dressings and dips and season them with it. Try mixing some of the Fiesta Lime seasoning into a cup of Greek Yogurt, let it sit overnight, and you have an amazing chip dip, taco topper, chili topper and more. The chili and lime flavour are perfectly balanced and it's not spicy so you can add as much as you like for your guests or family who do not like spicy foods. And since it's salt-free, there's no guilt, just flavours! 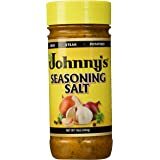 I'd say you can't go wrong having this seasoning blend in your cooking arsenal, because to me, it's just a wonderful thing to have for any kind of savory food. Sprinkle it on and enjoy a sandwich, dip, soup, or anything with more flavour. 5.0 out of 5 starsWho needs salt? and black beans, simmer for about 30 minutes and serve over rice. Yum. I ADD THIS AND MAYO TO CHOPPED UP FRESH FISH TO MAKE A GREAT FISH DIP. I DON'T ADD ANYTHING ELSE. IT IS VERY POPULAR WITH MY FRIENDS. BECAUSE OF THE ORANGE COLOR (FROM THE CHILI) MANY PEOPLE THINK IT IS A SALMON DIP. GREAT WITH CRACKERS OR VEGGIES. Awesome flavor! Especially on tilapia. 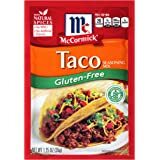 I also add it on my pulled chicken for tacos. The lime flavor isn't over powering and it's not really spicy. 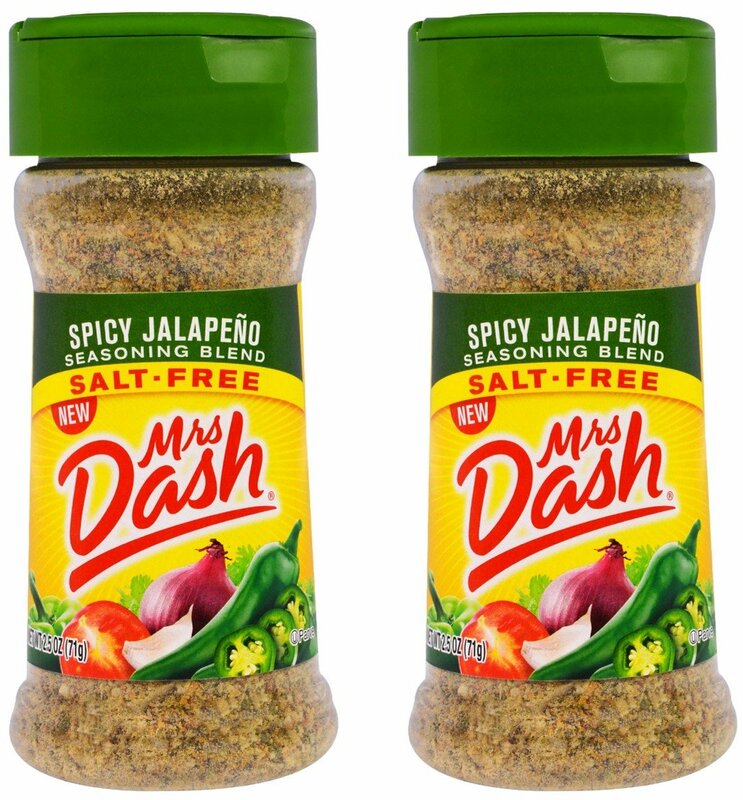 I LOATH jalapenos or anything like it, and I love this seasoning. 200% they need to put it back in the stores though so I'm not paying a crazy amount!! 5.0 out of 5 starsBest shake-on spice ever! Awesome spicy lime flavoring! Can't always find this in the local store especially since I live in KY. Since I moved here from Texas I miss having spicy food. I was ordering the True Lime from Amazon and they suggested the Fiesta Lime. Whoa! Best shake on spice ever! Bed it on everything from cottage cheese to eggs! 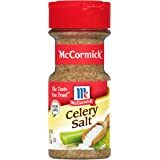 One of my favorite seasonings for fish, asparagus, and other items I want to give a little extra zing without salt. It has a cilantro flavor to it. The stores where I live don't carry it anymore and I missed it so much that I thought I would order it. Paid a bit more than I really wanted to but at least I have it now. Thanks. 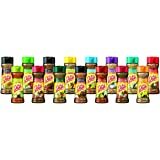 5.0 out of 5 starsI love this seasoning!! I'm so glad Amazon sold this, since its been discontinued in stores. I kinda put it in almost everything I cook. Chicken, beef, Turkey, even in tuna fish, I've even mixed it in mayonnaise to use as a spread for sandwiches. It's a bit spicy and tangy, it's delicious on so many things. Best salt free seasoning I've ever tried. Fairly spicy with a nice lime flavor -- really gets that sour-tangy flavor going w/o all the added salt. Love this stuff. Hard to find in stores, so happy to find multiples here on Amazon.